This past weekend retreat was AMAZING!! Thank you for trusting us with your students, for praying for them and making the sacrifice to send them!! We hope their lives were changed!!! TONIGHT, we’ll be jumping into our new series Wrong…RIght? 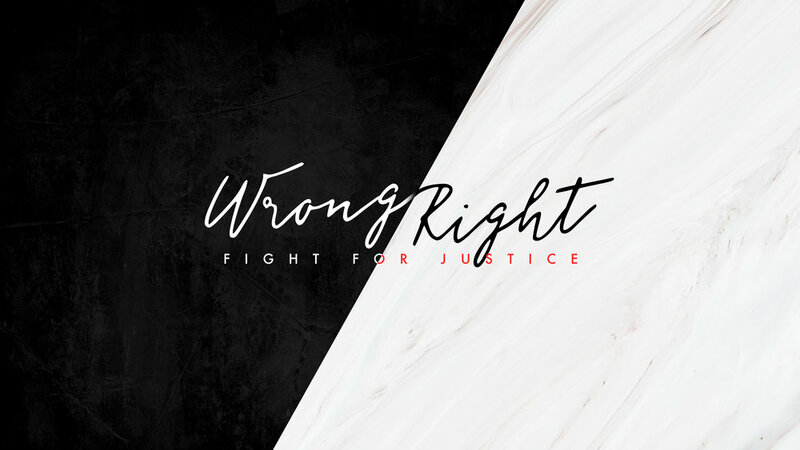 This series highlights the importance of fighting for justice from the biblical perspective. Because we see injustice in big ways, in small ways, in the world around us, and in our own experiences we want to help your students discover how they can respond like Jesus! We look forward to seeing your students tonight!! Next week is BYOP, which is kind of like parent orientation for NYM, but way more fun! To get to know your students' small group leaders! We use this time for students to hang out and connect relationally and we want you to be a part of that as much as you feel comfortable! We must warn you, however, Gaga Ball can get pretty intense, so bring your A game ;) There will be a parent lounge in room 402 (Starting Point) that will allow you to eat pizza and snacks, get to know our ministry, and connect with other parents! Next, we'll head to the SMC for worship! We'll sing some songs and go over some announcements. It's awesome so be sure to sing loud and be ready to jump… You also may get called up to play a stage game against some students to show them who’s boss! After worship, our students will head to the gym for their teaching session, and parents will stay in the SMC for a session lead by Graham and Joe. Here, we'll talk through what NYM is all about and what our plan is for this year. Here is your time to connect with small group leaders! During this time, our small group leaders will be stationed throughout the church auditorium and hallway ready to connect with you. You can use this time to get to know them and help them get to know your family! Since small group leaders spend the most intentional time directly with your students, you don't want to miss out on getting to partner with them! One of our House Rules at NYM is to partner with parents. BYOP serves as the continuation or beginning of an ongoing relationship between your student’s small group leaders and yourself. We can’t wait for these connections to be made and partnerships to be formed!